Are you looking for the most popular or best selling La-Z-Boy Sectionals? 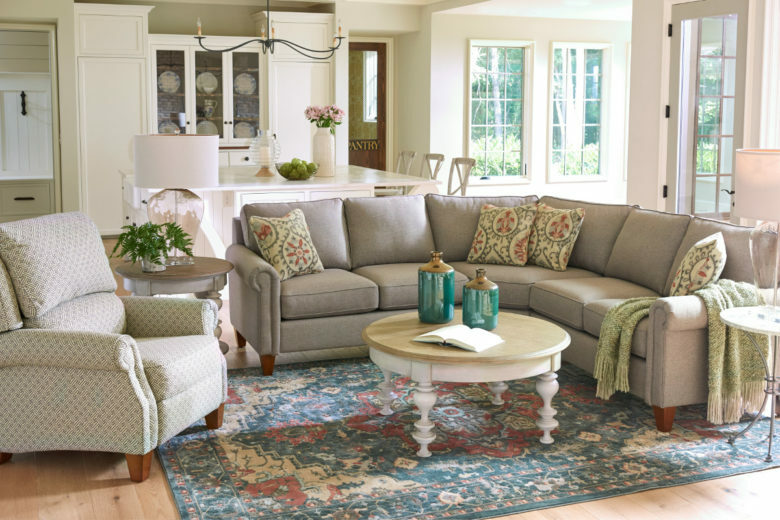 At La-Z-Boy Home Furnishings & Décor, our sectionals are known for their world famous comfort, style, and custom designs. This is why La-Z-Boy Sectionals are becoming popular in many households. 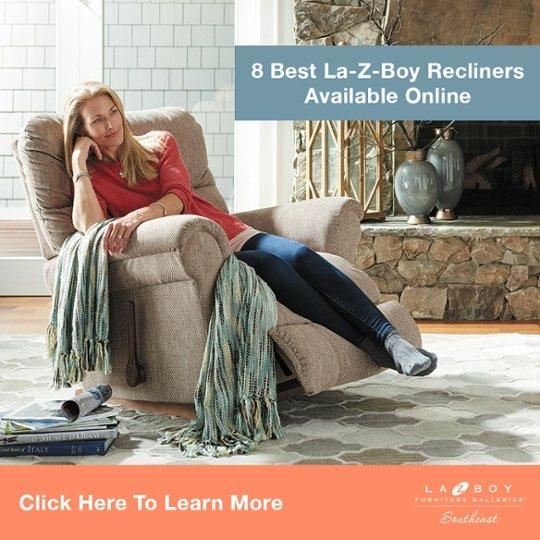 We analyzed our sales data and put together this article with the 7 best selling La-Z-Boy Sectionals from this year. 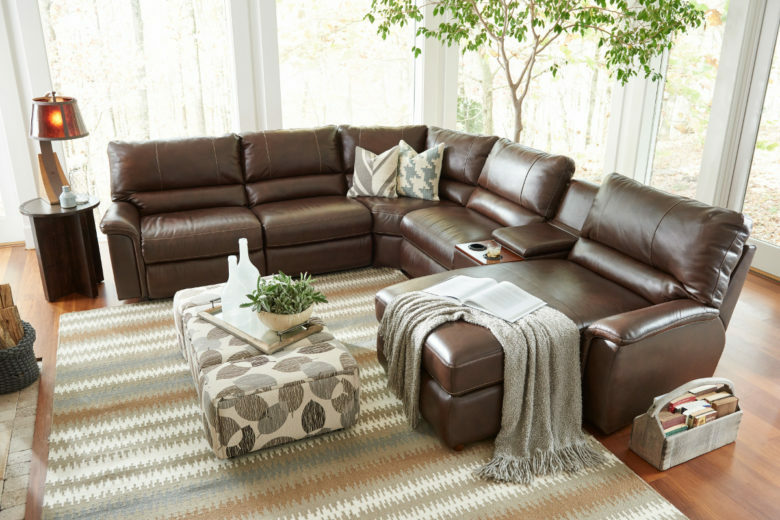 The La-Z-Boy James Sectional is comfortable, cool, and laid back. It’s available as a power or manual reclining sectional. Plus, it can be customized with a wide variety of fabrics and upgrades. Learn more about the James Sectional. 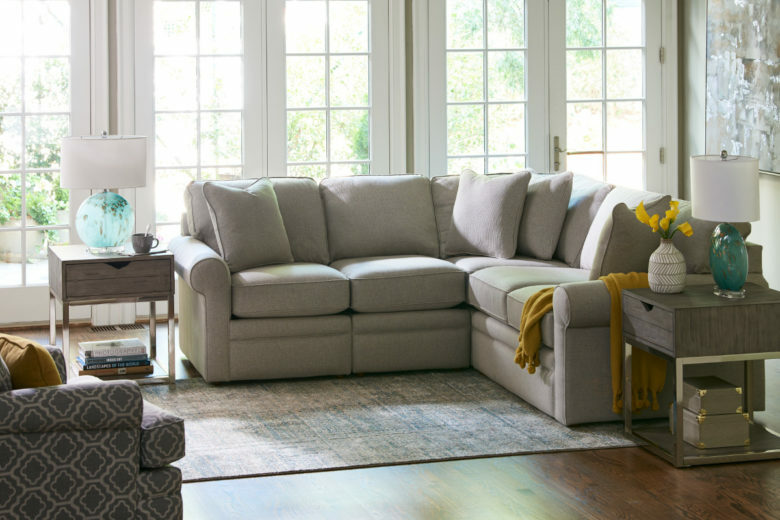 The La-Z-Boy Aspen Sectional is generous in size and offers a variety of seating configurations. The Aspen gives you the option to sit back and stretch your legs in extra-wide seats. Or sink into the plush back cushions and recline. Learn more about the Aspen Sectional. 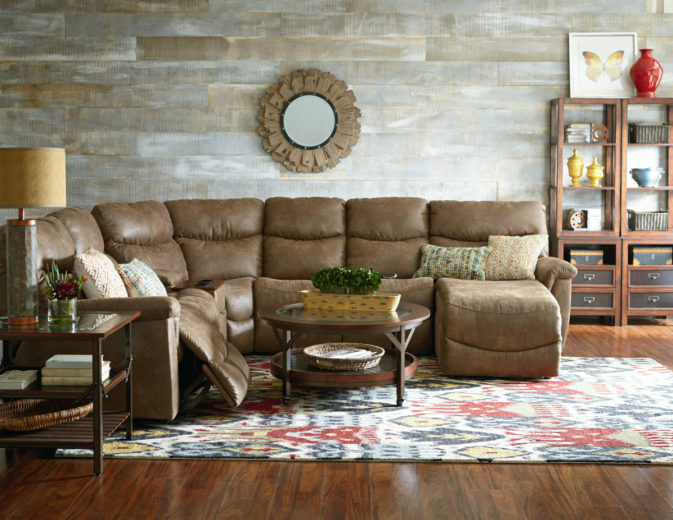 The La-Z-Boy Reese Sectional has a casual design that brings family-sized comfort to any room. The Reese features pillow top arms and a tall, pub-style back that provides ample support for your head and neck while you relax. Learn more about the Reese Sectional. 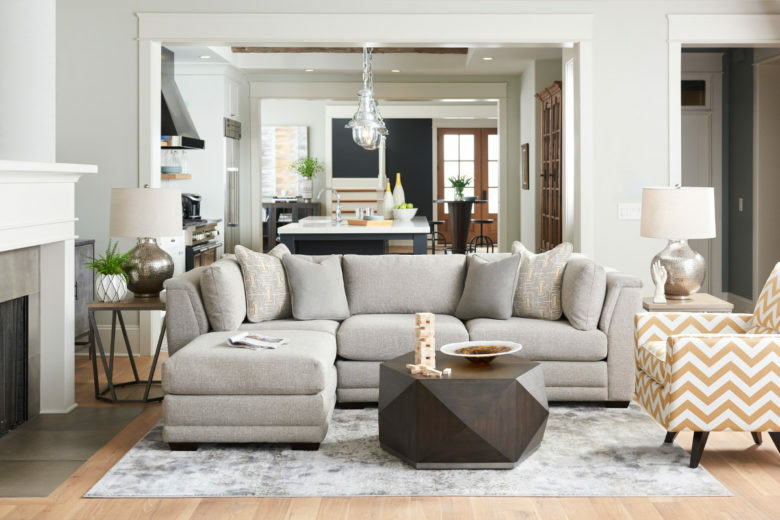 The La-Z-Boy Collins Sectional is a perfect fit for most types of homes. The Collins features simple lines, rolled arms, and welt trim for a style that looks and feels great. Learn more about the Collins Sectional. 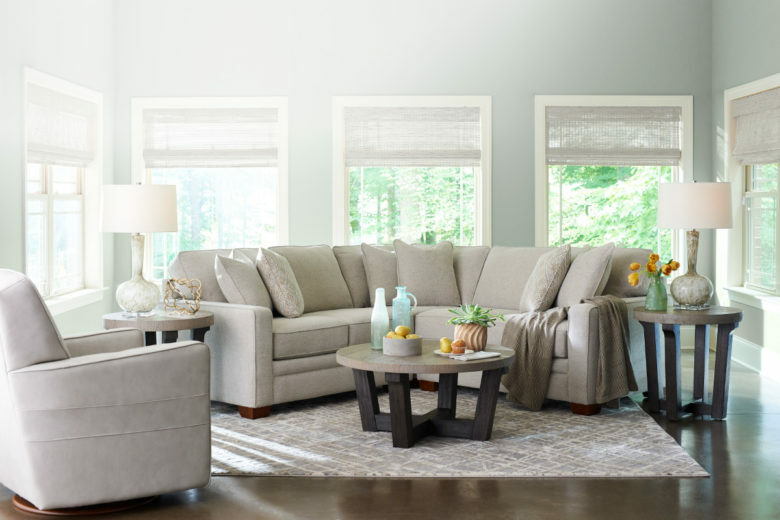 The La-Z-Boy Meyer Sectional is inspired by one of our most popular and best selling sofas. The Meyer has simple style elements paired with deep and wide seats. Making it perfect for a family movie night or afternoon nap. Learn more about the Meyer Sectional. 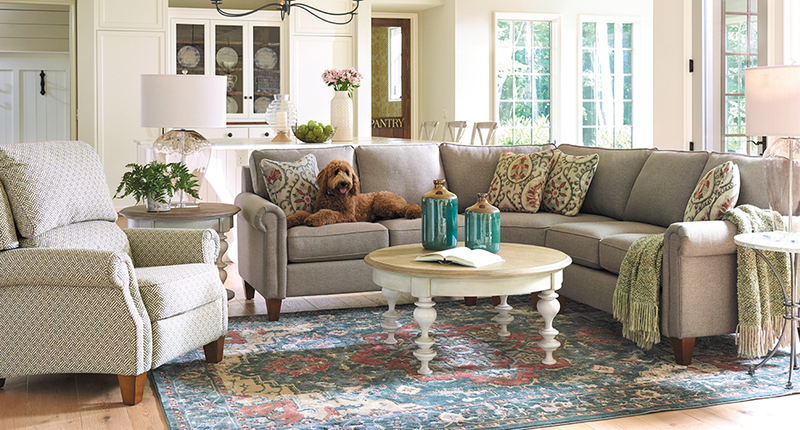 The La-Z-Boy Leighton Sectional is designed for comfort-seeking families with classic style. The Leighton also has a subtle sophistication that’s perfect for entertaining groups of friends. Learn more about the Leighton Sectional. The La-Z-Boy Ridgemont Sectional is a part of our Urban Attitudes collection and is completely customizable. The Ridgemont has a low profile and wide seats with loose cushions. So it looks very laid back. Learn more about the Ridgemont Sectional. 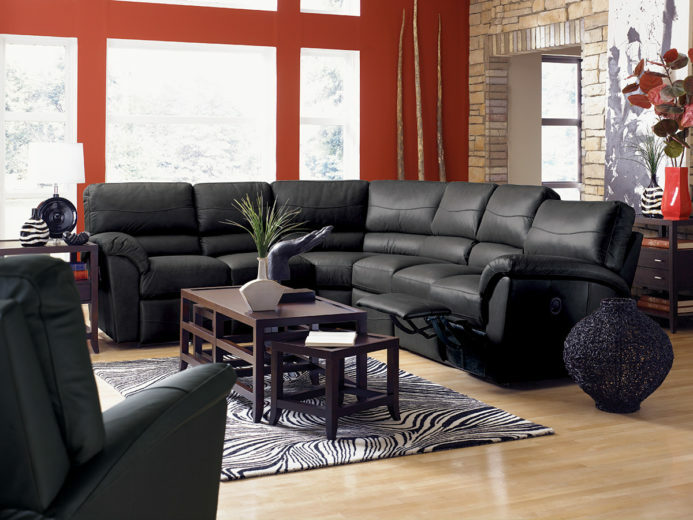 La-Z-Boy Sectionals come in a wide variety of styles, configurations, and fabrics. This can make it hard to know which one is best for your home. 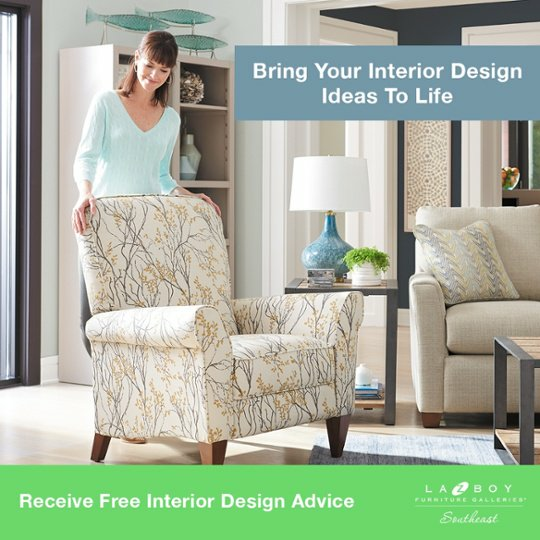 At La-Z-Boy Home Furnishings & Décor, our professional interior designers will answer all of your questions. And help you find the perfect sectional for your unique needs. 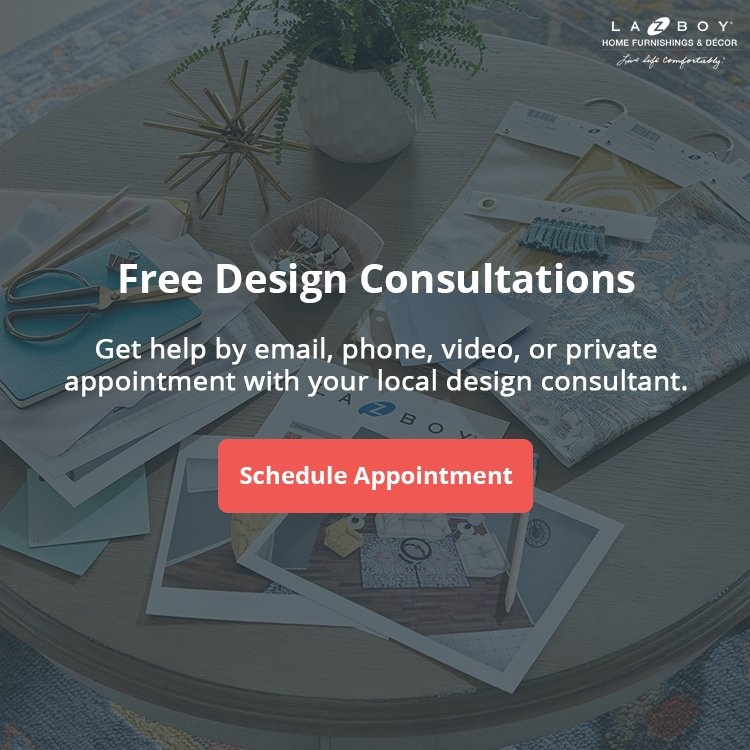 Our free design service makes the process of styling your home fun and easy. We’d be happy to show you our best selling La-Z-Boy Sectionals in person at any of our locations in NC, SC, and GA.